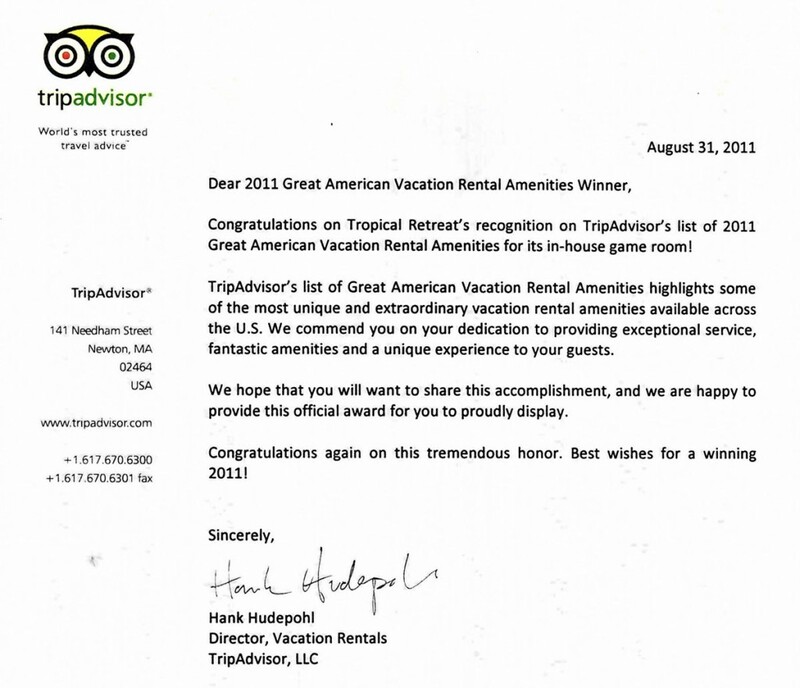 Game Room Featured on TripAdvisor: TOP 10 Vacation Home Amenity! 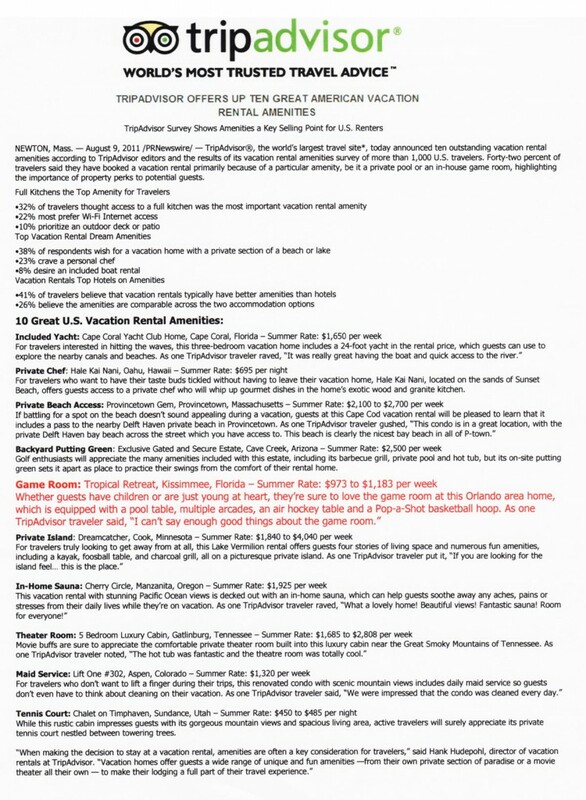 TripAdvisor named our game room as one of 10 Best Vacation Home Amenities in the US!…and that was before we installed a Simpson’s Pinball and Shuffle Alley to our game room. Plus, we'll occassionally let you know if we have openings or reduced rates along with helpful DisneyWorld and Universal Orlando tips. We promise no spam, and you can unsubscribe at any time.